Just a short note to thank you so much for your patience and support during the very long and drawn out engine rebuild of my 300TDI engine which took me about 18 months! Your replies to what probably seemed like endless enquiries was very much appreciated. In my mind Turners is the place for the best advice and the best parts for any job on a Land Rover ! I would like to thank the people at Turner Engineering for going above and beyond during the Christmas shut down to get the 200TDI cam pulley to me within 24hrs and the help and support from the lady who dealt with the order and even got the info to time said item. I can't praise your service enough and will be looking forward to doing buisness with you again,further more will be recomending yourselves to everyone know with landys, you'r truly amazing. Just a quick note to thank you for your excellent service, ordered a new head last Friday, it arrived in less than four days, pretty good from one side of the world to the other. Fitted it and am stoked with the result, the extra performance particularly down low is worth the extra few dollars. I'm unable to complete your customer satisfaction survey, needless to say I am very pleased with the timely arrival, yesterday, of the tappet assemblies. I shall not hesitate in contacting you again should I need any more components. I would just like to express my gratitude for the new engine sent for my Land Rover, technical advice and especially for the turbo shipment of the new clutch. Thank you so much. I have now done some test driving, and everything seems so far very nice. There are some puffs, but I think that is due to an old carburettor. Tomorrow I will take the car to MOT testing, and hope it will pass. 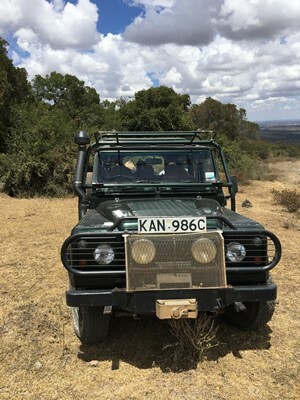 I have now summer vacation and plan to take the Land Rover for a trip. When we return I will contact you regarding details aout my old engine for return. Thank you again for excellent service. Please find enclosed the return sheet for the 300TDI engine you supplied. Took a while fo find time to fit the engine in house around other jobs. I must say again, upon driving the vehicle once the engine was fitted it seemed to perform superbly. Pulled very nice and was a smooth runner. Very happy with the service provided by yourself and everyone involved at Turner Engineering, as always. Thanks again. Wilde gewoon even zeggen dat pakketje is aangekomen , allesis perfect in orde. TOP service !! Geweldig hoe jullie met klanten omgaan ! Ik raad iedereen aan om bij jullie te bestellen ! Een zeer tevreden klant !! Just to let you know your refurb Tdi300 is now beating like a good Un in myKenyan landie!, Doris, Here up in Aberdares at 8000 feet, oodles of power andsmooth as silk great product and great result Thank you!! After replacing the head I had some issues with timing, which wererectified by fitting a new distributer. I can now fully appreciate the increasein torque and smooth power curve. Most noticeable is the ease at which Ben (mySeries 3 swb rag top) climbs hills. Thank you for your great product and wonderful service. Just to say that the courier company have picked the engine up. I would also like to say that the were an extremely good and friendly company to work with from a customer's perspective. This is something I must also say with regard to yourselves. Your professionalism and great organisational skills are much appreciated. The 200TDI stripped engine you supplied runs fantastic, it feels like its a new car from the dying slug that it was before with the gas flowed head.It makes the rpm pick up a lot quicker with no noticeable turbo lag which it had a lot before. It runs so much quieter and smoother then the last engine and when the vehicle is in top gear the engine feels like it's got a lot more energy as well. Thanks for the engine and the help and the instructions you provided. 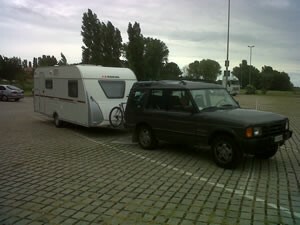 We had a dry week-end at last to have a drive with the Land Rover equipped with the new cylinder head. The performance of the engine is so much better! I recommend every Land Rover owner to have his/hers engine remanufactured by Your company. 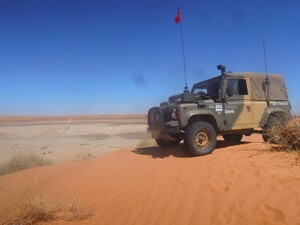 I have included a picture of the old girl atop Big Red, Simpson Desert. About 8000km into the 12,000km trip. Without your advice, help and parts, she wouldn't have made it there! 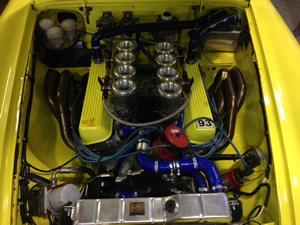 Russell has asked me to send you a few pictures One of his engine bay and the other of the two cars at Spa last weekend with his brother who raced it. No. 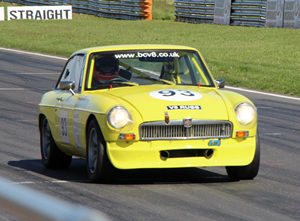 92 is the engine we have just regenerated with the top hat liners and that was the car that won outright out of 77 cars in the 61 minute race beating Aston DB4, GT40’s, Camero’s, and similar. Russ No. 93 came thirteenth but he had a bad pit stop as someone had moved the fire extinguisher and he couldn’t put any fuel in without it so his stop was 6 minutes. No. 92 car had a 70 litre tank already so only had to do a 1 minute stop. Thank you, the old, repaired and ‘daddy’ engine is still fantastic. I have traveled in July 2012 to date with my discovery equipped with your engine 200 tdi 15,000 km, of which 5,000 towing the caravan, with no problems. Just to let you know how thrilled I am with the performance of my stripped 300TDI Engine. I Have just done 900 km urban drive and 300 stretch outside urban but that is enough to fill me with joy. It has not yet experienced high throttle and I am excited about the prospects should it come to that because it easily unleashes power. Thank you so much for your professional service and support. So far I'm very pleased with the new engine that finally restored the joy of driving my car. Although I haven't had much kilometers with it yet(approx 1000) I really notice the difference with the previous engine. Thanks for the good support and delivery of the great new heart that mycar received! Just a note to say thank you for my thor 4.0l v8 top linered block and Kent cam car all back together now pulls really well with no water woes to concern me your a truly fantastic helpful company thank you. I have now got my Defender back and it is GOOD. Smoother and quieter and I'm very happy with the result so far. Thanks for your excellent service. 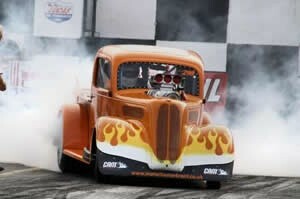 Just to let you know all went well at the weekend in our Rover V8powered Ford Pop dragster. Thanks for another great block supplied at such short notice, amazing service! The conditions were unfortunately not right for record breaking with a strong headwind and slippery track, but on our last run we ran 8.60 seconds to 153 mph which is only 0.06 from our no nitrous record! and the fastest we have run with a headwind. So it looks as though the work you did on my heads has paid off. We are out again in 2 weeks so I will keep you informed. Thanks again for your excellent service. Hello Frida, how are you! Received engine and parts within 6 days of ordering, everything was in excellent condition, beautiful product! Thank you for the swift turn around of the reconditioned engine ordered a couple of weeks ago. I've had the engine running now and it's excellent and very well built so thank you and the team. What a difference a newly built Turner engine makesnto the pleasure of driving my Land Rover. Just a brief note to thank you for all of your help and producing an engine that does the job intended - unlike the original. I just purchased a 300Tdi complete head from you guys , I must say what a professional buisness you run the service is none better and the postage time is out off this world . If you had a company in Australia you would be runoff your feet. Wow 2 days to Melbourne from the UK the only let down was Australia Post it took 2 days from Melbourne Airport to travel 130 k's to my place. Thank you very much for you professional service and another quality Turners product . Just a quick note to let you know that I am very happy with the service you have provided. The new engine is great and the installation went very well. Hi, just a note to let you know that I have finally got around to fitting the new gas flowed cylinder head that I got off you a couple of months back. Its just as well I did the job as the gasket was starting to show signs of failure. I can notice some immediate improvement in pull away power and looking forward to my next towing experience. I can't thank you enough for the care, quality and product that you and your team provide. Just to let you know the heads for my V8, that you have supplied me with are exceptional in quality. I estimate a 22% increase in not only power but fuel economy also. I finished the re-build last Tuesday am and set off for a 1300 mile round trip and the vehicle purred every step of the way. This car has never been in such good shape, all of the parts I have received from you and the team there have been top quality and I would have no problems suggesting others use you or coming back to you again. Just a short note to let you know that we were successful in achieving our goal in breaking the British lands speed record for a 3 wheeled vehicle on Monday the 14th of May. As you know you re-lined our block and bored the liners and decked the block as per request. The 3.9 63.5 CC normally aspirated engine was tested on the dyno and produced 412bhp @ 7000rpm on Av gas/ 4 Star/ Toluene mix and makes 500LbFt @ 4400rpm we revved it to 8000 rpm and the engine performed fantastically. We ran 180.38mph 1 way and 157.8mph into the wind in the opposite direction and broke the existing record that had stood for 12 years by 5.4mph making the 2 way average speed of 168.9mph. We put your stickers on the bike to give you a little advertising for the company and I thought you may like to use these photos to promote the company. Once again many thanks for doing such a fine job on the engine block and I am certain to be in need of your services again. My old Land Rover runs now as good as never before. 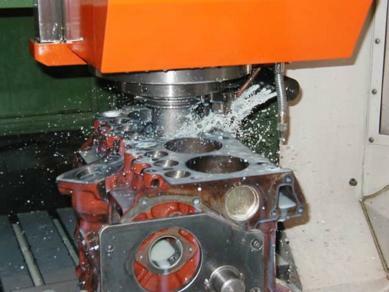 I’m very satisfied with the new cylinder head and also with your quick response in any case. I would like to add that my car is running fine again with the engine you supplied and I thank you for that. The service you rendered is of top level and I will not doubt to recommend your esteemed company whenever I get the occasion. Thank you very much indeed for such a thorough, professional and highly educated diagnosis. It is of great relief for me because it does not suggest that I mistreated the engine, does it? I have always been very, very careful with services (every 1,500 miles)and revs (never driven at more than 45 mph), so I look forward to even my grandchildren driving the car. Please quote me as a truly satisfied and delighted client of your unsurpassable quality and service standards. Just a quick note, to let you know that we received our cylinder in perfect condition yesterday, as promised. I want to thank you for looking after us so well, the guys can’t wait to fit it! Following your work on my "block" it all seemed to go back together without any issues, David Batty certainly seemed happy with what I presented him with. I have now done about 500 miles in the car, carefully running it in as instructed, and all is going well, this mileage amounts to pretty much my annual mileage in the last couple of years! 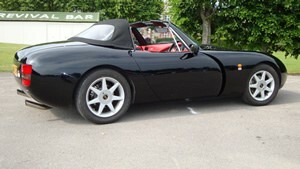 I am determined to use it more now it has a great "new" engine, wejust need some more good weather! Many thanks for all of your help and good work with this"project", I am forwarding you some pictures in case they are of interest/use to you, these are of the bare block, you have seen hundreds of these of course!, the rebuilt engine back in the car and a shot from "Goodwood" a couple of weeks ago. These are on two e-mails due to file size, apparently. On a feedback note - this head would have to be one of the best additions to my 130. The additional power and performance was instantly noticeable whilst fuel economy appears to be unchanged. I'm very impressed. I fitted a remanufactured head to my 2.25 petrol 5 bearing engine. I received my 2.5 TD Short engine and it looks awsom!! Thank you for bringing light for my Land Rover. I also would like to send a big Thank You for all the Turner Engineering Team that made this possible. I would and will always recommend your services.Turner Engineering exceeded my expectations on professional and efficiency relation with customers. 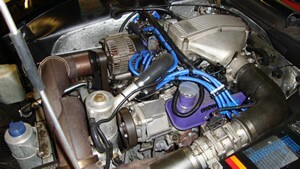 The following photograph is a 4.0L Petrol engine we buy from yours. We put this engine to a Defender 110' years 1989 who was a 3.5L Petrol twin carb. The client is to happy with the performance of his car and he wants to thank you for the good job you made for his engine. Also our shop and the technicians would like to thank you for the very good job you made to all the engine that we buy from yours. The exchange 300tdi engine with gasflowed cylinder head has been very carefully run in and has now done 1200 miles with a change of oil and filter at approx 500 miles. I cannot put into words how pleased I am with it. There is so much smooth torque and power .The acceleration in traffic is effortless, and there is no need to rev it, just keep changing up a gear and the grunt brings a smile to my face. It is quiet , and silky in the power delivery, and simply purrs along at cruising speeds You can almost hear it laughing at hills. I wonder what there is to come when or if I ever need to rev it above 2700rpm,which it hasn't seen yet. I strongly advise anyone needing a new 300tdi engine to buy a Turner with the gasflowed head. It is a complete waste of money to fit anything else. Hello from Melbourne. Just a belated thank you for the prompt and professional service you have provided on a couple of occasions now. I continue to recommend! Just a short note, I felt I had to write a few words of thanks for the service,very friendly and super efficient. Less than 24hrs from order to delivery despite the snow. If only more companies provided this level of service!! Just a grateful thank you for the prompt delivery of my new engine. It looks too good to put in a rather dirty Land Rover and would look nice in the lounge ! I can't wait to get it fitted and if it runs as well as it looks, I will be highly delighted. Once again my sincere thanks for your superb service. I refer to my letter to you of 16th November 2009, and want to let you know that the above engine, fitted to my Discovery some 13 months and 18.000km ago, continues to run very smoothly. There have been no reliability issues and the only adjustment required was to the tappets once they had bedded down. The extra flexibility provided by the gaslfowed head makes the car more relaxing to drive, and also improves fuel consumption especially on long runs. In the nature of things I don't see myself buying another remanufactured engine in the foreseeable future but I should not hesitate to recommend your firm to anyone who needed one. Many thanks for a first class product and a service to match. This is just a short message to thank you for the brilliant service I received when I purchased the above reconditioned engine. It arrived when I was told to my installer, with all the gaskets, oil and extras I ordered. Once installed it runs quiet, the car drives like new and the economy has improved from 12mpg to 20mpg, which as an average mpg with a car that runs on LPG makes it a very cheap Range Rover to run. The power is really good, much better than the original engine and its smooth and effortless. I would recommend a Turner engine to any serious Land Rover owner. My car is refurbished and with the engine now installed it is back to factory condition both mechanically and cosmetically, in fact now its better than new mechanical condition. I received the engine yesterday in good order and would like to compliment you on how good looks! It is the first time in nearly 30 years of being a mechanic that I see an engine delivered which looks so neat and complete, wonderful! This is a wonderful piece of advertising for you, it gives trust in how you deal with things. Please pass on my compliments to all the staff at Turner Engineering. The Head arrived a few minutes ago, we are impressed with your efficient service I haven't opened the box yet as hubby is off work sick... I am sure he will be equally as impressed... we are not used to such efficient service these days... living in WA (wait a while) we can be waiting for two days or more for parts from Perth which is only 75km away! As the aussies would say ... "good on ya mate"
Must say I'm really impressed with the service you offer your customers, I already received my package from the UK, meaning time from order completed to delivery less than 24 hrs! Just a short note to say thank you for the supply of one of your Gasflowed 200tdi cylinder heads. Special thanks to Freda for making sure all the parts I needed were included in the order and Richard for the tour of the workshop and engine advice. My observations of the tuned head are money well spent. With the tuned head it fools you into thinking the engine is a bit bigger. What is actually happening is the engine is more efficient when the turbo is not on boost. The engine now pulls from very low revs. At the end of my road is a junction on a hill. I used to pull out in first and rev it hard in first keeping momentum for change into second. If I short shifted into second gear with not enough revs the Disco would struggle to get its momentum. With the tuned head it just pulls, gone is the step in power delivery with the turbo acting like an on/off switch the power is delivered in a seamless strong manner. Better for towing and economy has improved. I just received the pistons etc that I ordered. Thank you very much. I am truly amazed at the speed or which they arrived. Wonderful. Thanks very much. I just want to give you a feedback.. The defender runs great with your cylinder head and the other parts, now we have 1000km…and the first service. Thanks you very much for your efforts. Just a quick note to say thanks for a fantastic product! A local garage– Maghull Four Wheel Drive – recently fitted a stage 1 head to my ex-military series 3 Marshall-bodied ambulance and what a difference! Although it will never be a ball of fire on the road, combined with electronic points, the difference is enormous – no more pedal to the floor to keep it at 50, no more shifting down to third or second on hills, no more queues of traffic building up behind - it easily keeps up with traffic. Considering that it’s over 30 years old, it feels as though it has a spring in its step once again. Brill! I would like to thank you for your prompt and professional response to the parts I required to rebuild my 300Tdi. Also, I appreciate your help answering the technical questions regarding the overhaul. Your knowledge regarding shipping was also excellent. The engine rebuild is complete and the engine runs better than it did when new. I recommend your company to others here in the Land Rover community. 2.25 5MB Diesel stripped engine. Just to let you know that the engine has arrived to Azores. Everything get's here in perfect conditions, thank you so much. Just to say that I received my order today, everything is in perfect condition, thanks for the great service, and also fast one. Keep on the good job there. Excellent product, excellent service and a very happy man and his new lightweight! Not a leak anywhere and runs like new! The head change itself took about 5 hours in total and the engine started first time and with no cloud of blue smoke – this has never happened in the 5 years I've had her. After running in etc. I was easily able to pull up a local hill in 4th that previously needed 3rd . Also, I was able to get 126 km/h out of her on the motorway (130 limit in Denmark). 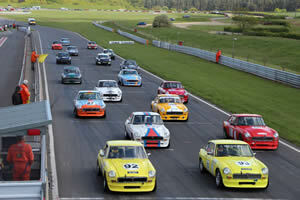 126 km/h is 78 mph in old money and 6mph faster than the original spec for a 1973 SWB. As well as being quieter inside, I certainly notice a significant improvement in driveability around town (much fewer gear changes), and the fuel consumption is considerably better; I thought at first the needle was stuck as it didn't seem to move down.We can't wait to see how it performs this summer with the caravan behind. Thank you. Thanks very much for sorting this out.This was the week before half term and there was a whole holiday come birthday party hanging on the availability of the Land Rover. Coupled with your efficient service and Taunton Land Rover you both did a splendid job of honouring your commitments. Very much appreciated. Taunton Land Rover had not heard of you before, but without any prompting from me they commented on the quality of the cylinder head and kit you supplied. The engine now feels a lot better and towed a 20ft twin axle van up the M6 complete with wife and 4 kids - with no effort at all -even thought here is 100,000 on the clock. So once again thanks very much for your efforts and even though I spent a lot more on the repair than I ever thought -Id o feel re-assured that I got value for money. Hi, just to let you know we have achieved our aim of running an 8 second pass using a Rover V8 engine. Your cylinder block with Ductile iron liners has held up to the extreme pressures of a supercharger and methanol fuel and we are very pleased with it. We ran a best of 8.93 @ 146 mph in the 1/4 mile and reached 119.87mph in 5.59 seconds to the 1/8 mile, with more to come. We think this is the first '8' from a rover without nitrous injection. I just received my 2.5D cylinder head. I cannot thank you enough and am absolutely blown away by the service I received from you.You responded to all of my emails within MINUTES, the price of the head was very very fair, and shipping overseas was unbelievably fast. I haven't put it in the Rover yet, but I'm sure I'll be just as blown away by its quality and performance. I was very upset when I found the cracks in my old head and thought I would be in for an expensive ordeal trying to find a head for this engine in the US. But you guys actually made this an enjoyable experience.